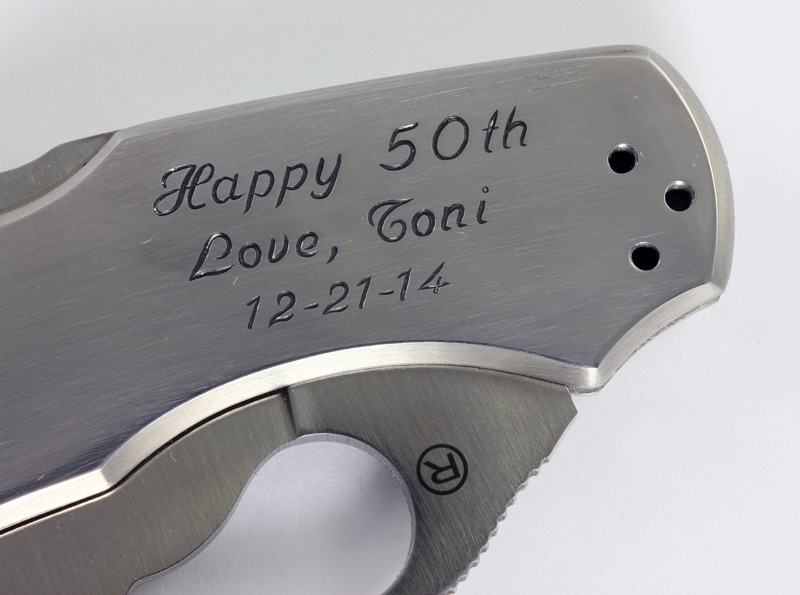 A thoughtful lady in Texas asked me to hand engrave a Spyderco Byrd Knife for her husband’s 50th Birthday. 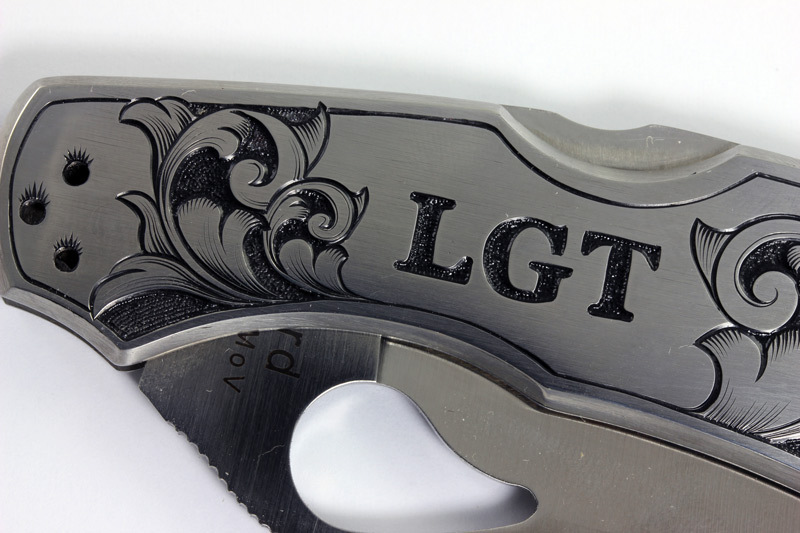 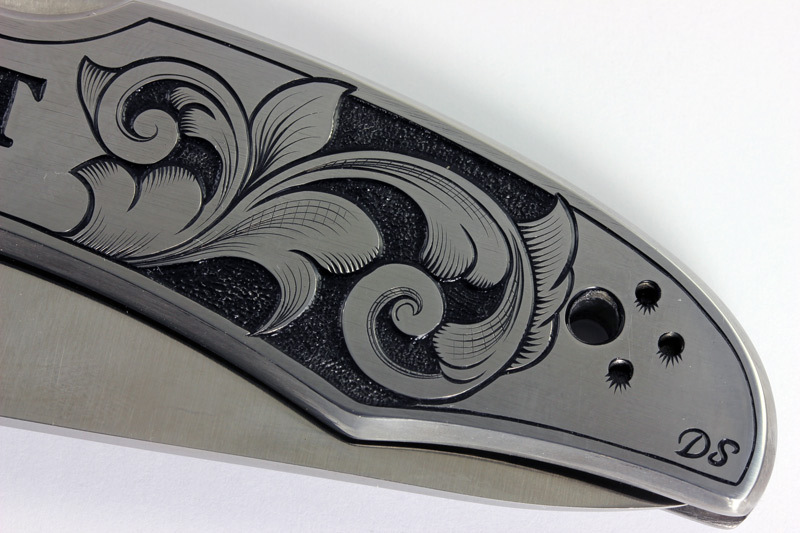 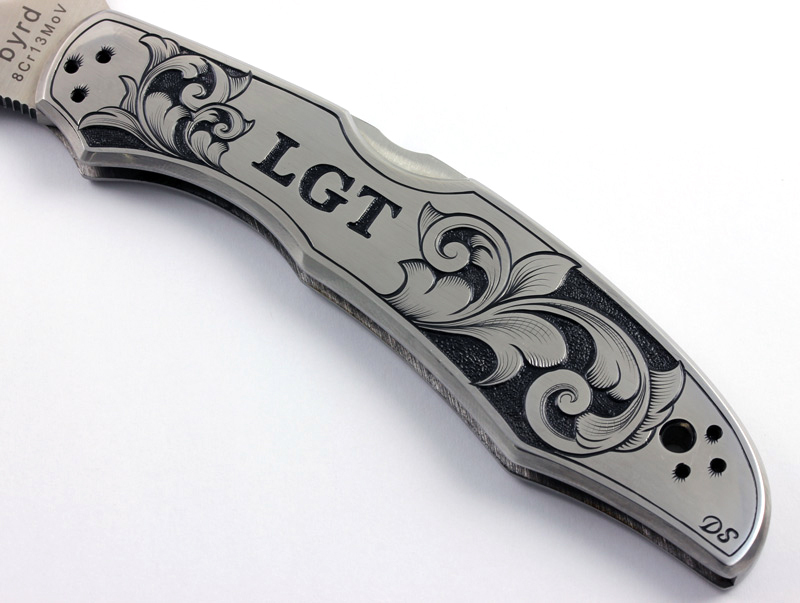 Deep relief style hand engraving was used to create this design in the Spyderco stainless steel handle. 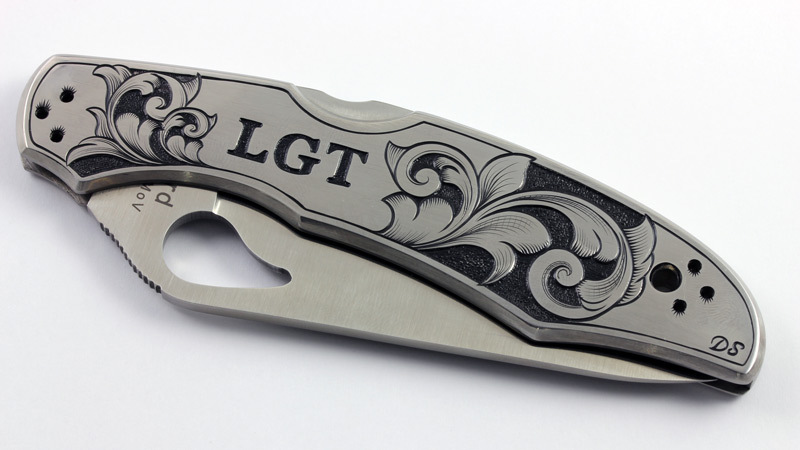 She reported back to me that her husband was extremely pleased with the gift!